Three Ministers in the Federal Government recently criticised the Victorian judiciary regarding an appeal that had yet to be decided by the Court. They stated that the Victorian Judiciary were running ideological experiments and that the bench was full of hard-left activist judges, some of who are divorced from reality. The ministers were Minister for Health and Sport Greg Hunt, Assistant Minister to the Treasurer Michael Sukkar and Minister for Human Services Alan Tudge. 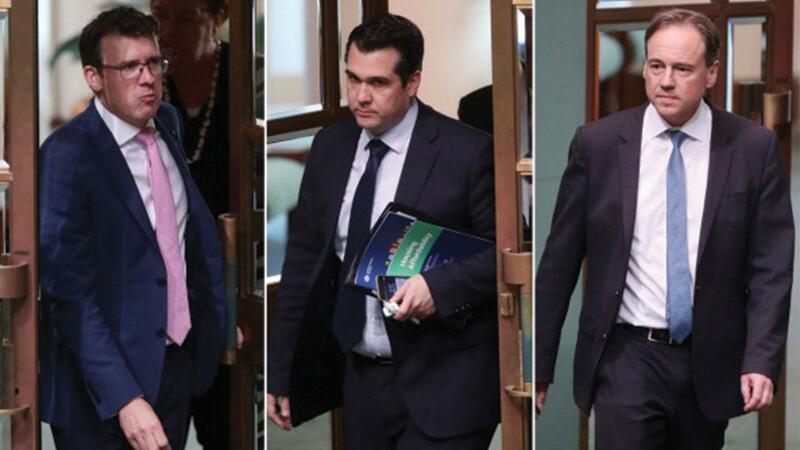 It is reported that these Ministers sent these strongly worded statements in a series of texts to Simon Benson, a reporter from the Australian, who then published them. Last Friday the Ministers were called to the Court to explain why they should not be charged with contempt of court. For our justice system to function effectively it must be independent from Executive Government. There cannot be interference with the proper course of justice and in order for the courts to be respected by the people, the dignity of the court must be respected. There are a number of things that are prohibited by the courts and can be referred to as contempt of court. These include publishing information that may prejudice a court, interfering with witnesses, assaulting a judge, continually interrupting proceedings, willful disobedience of the court, failure to comply with court judgement, disobeying a subpoena or publishing something which offends the dignity of the court. It is not necessary to establish that the alleged contemnor intended to interfere with or obstruct the administration of justice. It is sufficient if it is proven that the alleged contemnor intended to commit the acts which objectively had the requisite tendency to interfere. Our Constitution divides the Government up into three separate institutions. The Parliament, the Executive and the Judiciary, which are outlined in Chapters I, II and III of the Constitution. The legislative power gives the Parliament the authority to make the laws, the executive power gives the government the capacity to put the laws into action and the judiciary has the power to make judgements about the law. Each of these groups is a check on the power of the others and ensures that none of these groups hold all the power. If we did not have the judiciary to interpret legislation, the legislative and executive arms of Government may be able to use their power, without checks and balances. The High Court, among other things, ensures that legislation is in accordance with our Constitution and the rule of law. The Victorian State Courts are not Chapter III courts, but the principle still applies. It is important that the courts remain independent in the application of justice. However, there are some commentators that believe that in the past few decades the courts have stepped over the line of their power and have influenced the legislative branch of government. This includes strong arguments from the judiciary against mandatory sentencing in the States. And in some instances federal court judges have appeared in Senate Committees to give their views on legislation. Just this week the scheduled appearance of two Judges at a Senate Committee currently investigating the scourge of family violence was postponed due to concerns relating to the separation of powers between the Parliament and the judiciary. In this particular instance the Ministers were commenting about statements that the Victorian Judges had made about the difference in sentencing between New South Wales and Victoria. Where should the line be drawn in the separation of powers? Can it always be really clear? No one is above the law, not judges and not even Government Ministers. Clause 5 of the covering clauses of the Constitution refer to the operation of the Constitution and laws: as binding on the courts, judges and people of every State and every part of the Commonwealth. This is a basic tenet of the rule of law, along with the presumption of innocence, that we are ruled by laws and not by people and that the Courts must be independent from the Executive. Because of the attention given to statements made by Ministers, it means that criticism of the courts will be taken very seriously. A minister implying that judges are biased is a very serious thing. Are the courts above criticism? Politicians get criticised all the time, often in a very contemptuous way and they are elected. Judges are not elected, and these dear little daffodils are saying we shouldn't be criticised for the way we are doing our job. And Independent Derryn Hinch (who has been jailed for contempt of court) stated that the judiciary is not above criticism and that he would have told them to go jump. Other Government Ministers have refused to comment. Strike a balance between a number of principles including freedom of speech and expression; the right of fair trial by an impartial tribunal; public scrutiny of the operations of the court system; and the protection of the authority, reputation and due process of the courts. Last Friday the Commonwealth Solicitor-General, Stephen Donaghue, appeared in court to represent the three Ministers. He initially read a statement in which the Ministers did not withdraw their remarks or apologise. Over the course of the questioning, the three statements regarding hard-left judges, ideological experiments and being divorced from reality were withdrawn. Still the Ministers did not apologise. The difficulty with comments like these, is that it could appear to influence a decision that the judges had yet to make. The Court of Appeal was considering the sentences of two men convicted of terrorism crimes. If the judges were to increase the sentences it may appear that they were pressured by the Ministers, if they were to dismiss the appeal they may be accused of being engaged in an ideological experiment. The Commonwealth Solicitor-General made the point that the judges are very well respected people and that nobody would think they could be swayed by what a politician says. Earlier today the Court of Appeal increased the sentences of the two men. Scandalising contempt is concerned with the administration of justice more broadly and the publication of anything that might undermine the public’s confidence in the courts. Stating that judges are hard-left, divorced from reality and conducting ideological experiments could be seen as suggesting that the judges are biased. Just yesterday the Ministers sought another hearing with the Court to make an apology. The matter has been heard today and the Ministers offered an unreserved apology through the Commonwealth Solicitor-General. The Victorian Court of Appeal ruled it would not proceed with contempt of court charges after the apology. Some say that in the last decade or so, the level of public discourse has descended to such a level that making highly critical and personal comments about Judges, Ministers and members of parliament seems to pass the muster. The use of inflammatory language and outrage is now the norm. Is criticism of the Judiciary by the Executive good for our democracy? Or does it bring all of our government institutions down? Now that we are here, should we step back from this? Should we get back to respecting the players within our democracy? Should we try and speak in more measured language? If these Ministers had made their comments without the inflammatory words, perhaps they would not have faced the prospect of being charge with contempt of court. It may be fair to discuss the issue of sentencing in Victorian Courts, but such personal attacks on members of the judiciary may have the effect of reducing public confidence in the court.